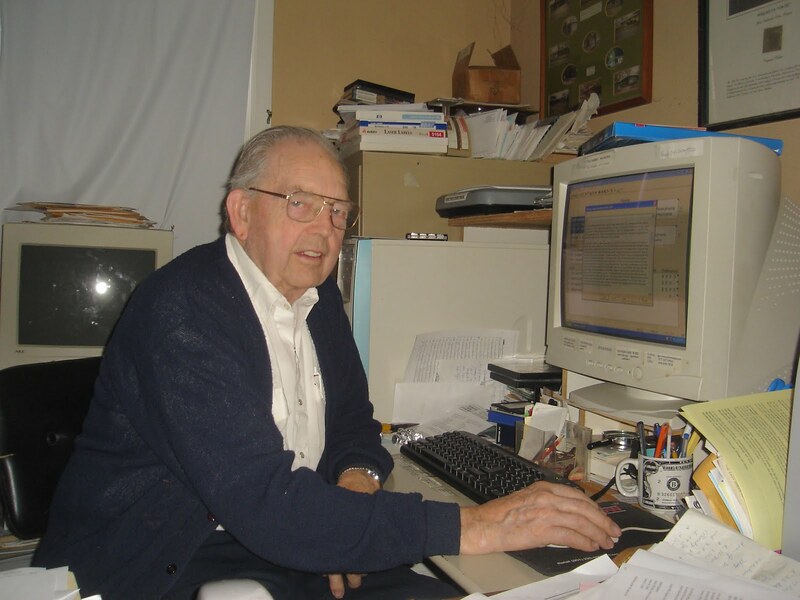 Bob Erekson, Aurora Branch president from 1961 to 1965, passed away at his home in Billings, Montana, on the morning of December 27, 2010. He was 89 years old. He is survived by his wife, Louise G. Erekson; and their ten children, Ginger (Bill) Hamer, Tom (Terry), Erek (Lenore), Cris, Douglas, Randall, Jay (Susana), Matt, Jon (Jennifer), and Jared; 36 grandchildren and 27 great-grandchildren. 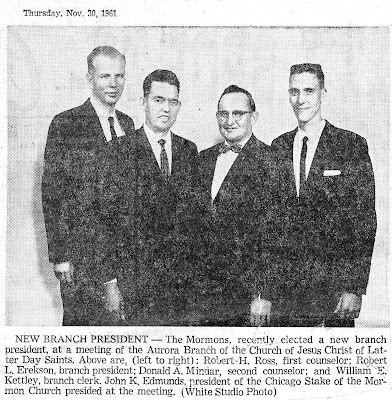 In August 1961 Bob Erekson was called by Chicago Stake President John K. Edmunds to replace his father-in-law James T. Greer, who had served as branch president for some twenty-eight years. 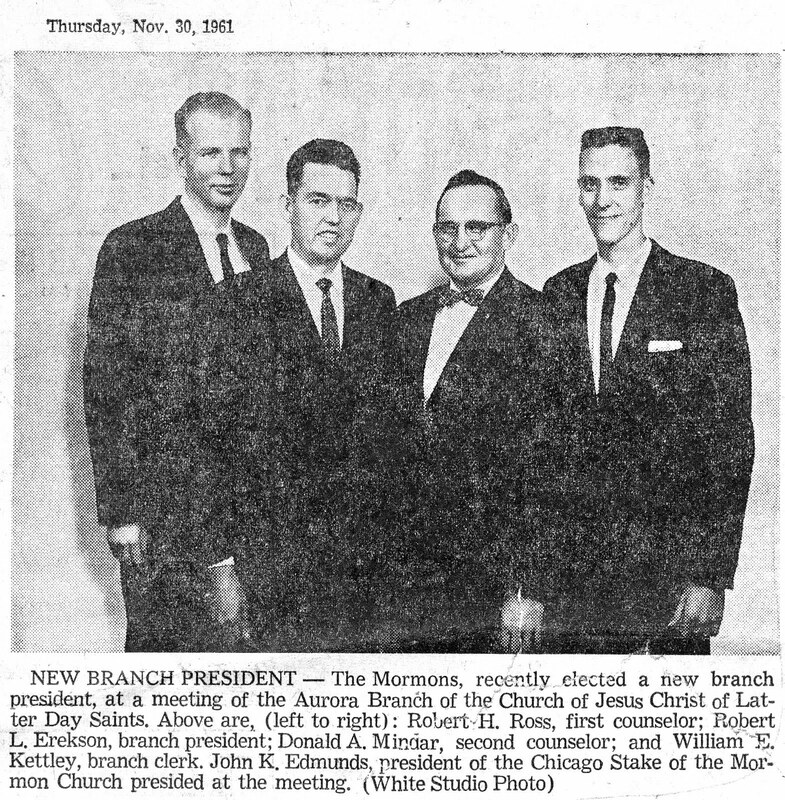 His new counselors were Robert H. Ross and Donald A. Mindar with William E. Kettley as branch clerk, as shown below in this clipping from the Aurora Beacon-News. After a year and a half Bob Ross moved back to Pennsylvania, Bill Kettley became a counselor, and Dean Meyer was called as the branch clerk. Later, Dale Fisher replaced Donald Mindar as a counselor. The branch had been meeting in the Seventh Day Adventist church on Plum Street for about a year and a half, but on the day of his call, Erekson was informed that the branch had to find a new place to meet. 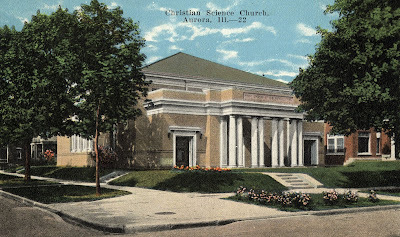 "After much prayer," he later wrote, "I received that answer that we were to rent the old Christian Science chapel. We had complete use of the building for more than a year until it was sold." The branch next met for a brief time at Lincoln Elementary School on South River Street in Aurora and later moved to Allen School on the east side. Erekson relished one of the blessings of being branch president—the opportunity to attend General Conference twice a year, with travel expenses paid for by the Church. 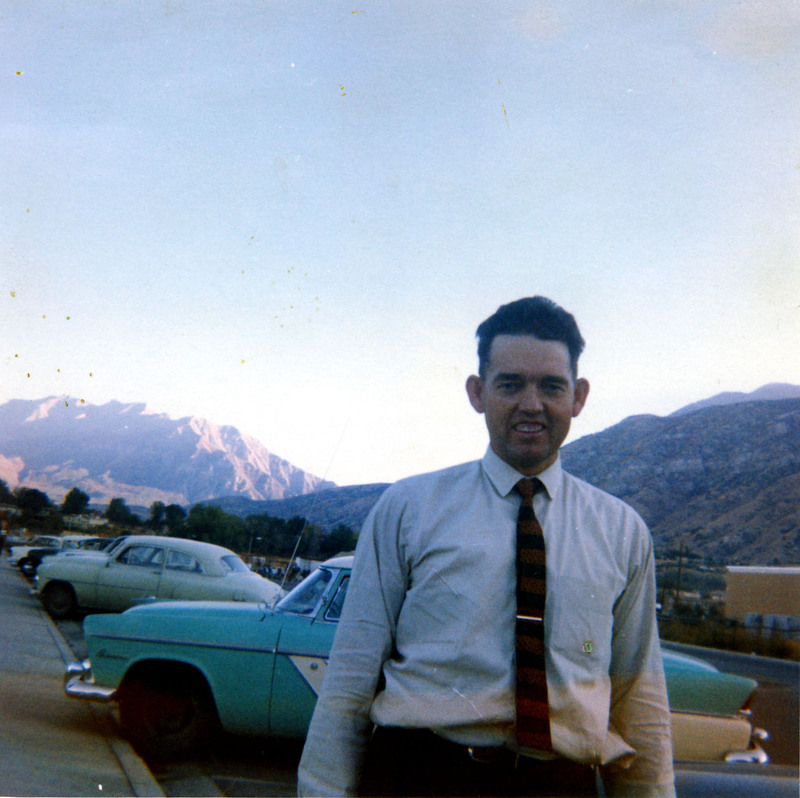 Here he is shown in 1962 on the BYU campus where he was visiting his daughter on his semi-annual trip to Utah. Under Erekson's leadership the branch continued to grow. By November 1962 there were 242 members. In February 1963 the branch became part of the Chicago South Stake, with Lysle R. Cahoon as president, and John Sonnenberg and Dallin H. Oaks as counselors. 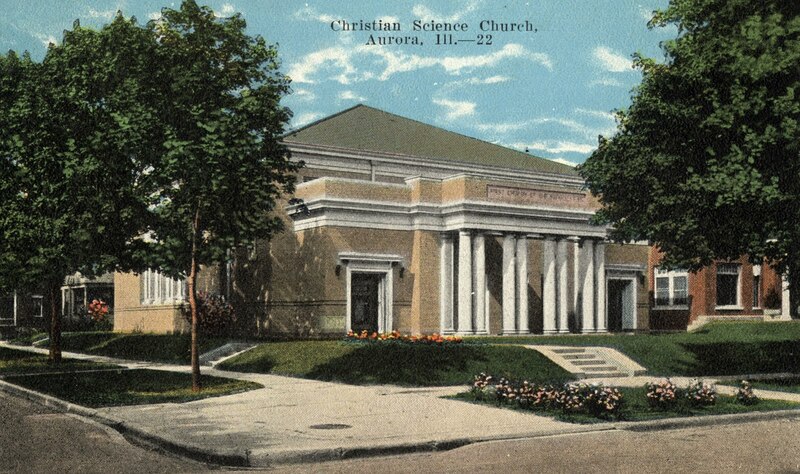 The members kept working feverishly to raise money for the building fund, but the dream of having a chapel in Aurora was postponed when President Cahoon invited the Aurora Branch to be one of the units to occupy the new stake center that was to be built in Naperville. At that time, local wards and branches has to raise forty percent of the funds for construction, and so members of the Aurora Branch were assessed large sums of money. They built additional building fund houses and completed many other fund-raising projects. Unfortunately, the three and a half years that Bob Erekson served as branch president were marked by contention and division among the members. A strong faction remained loyal to President Greer, and he did nothing to discourage their dissension. President Cahoon, shown above on the left, was supportive of Erekson and was understanding of the difficulties involved. Upon his release on February 21, 1965, Bob Erekson wrote: "I am very happy with life and am well satisfied with the knowledge and blessing Father in Heaven has given me. I have had several spiritual experiences that have helped me to know that the Church of Jesus Christ of Latter-day Saints is true." In 1968 the Ereksons moved to Billings, Montana, where Bob changed from building homes to building custom-designed slip-in campers and toppers for pickup trucks. 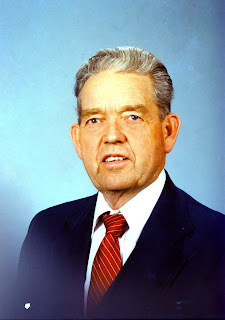 When he retired in 1989, he devoted much of his time to genealogy and published several family histories, the largest being a record of the Choate family in southern Illinois. In order to do this he became expert at using genealogy programs on the computer. 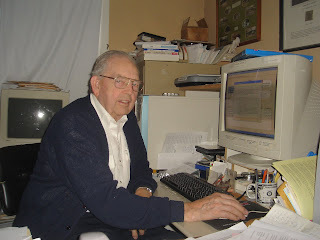 He was also active in the Yellowstone Genealogy Forum and taught numerous classes in how to use the computer for genealogy. 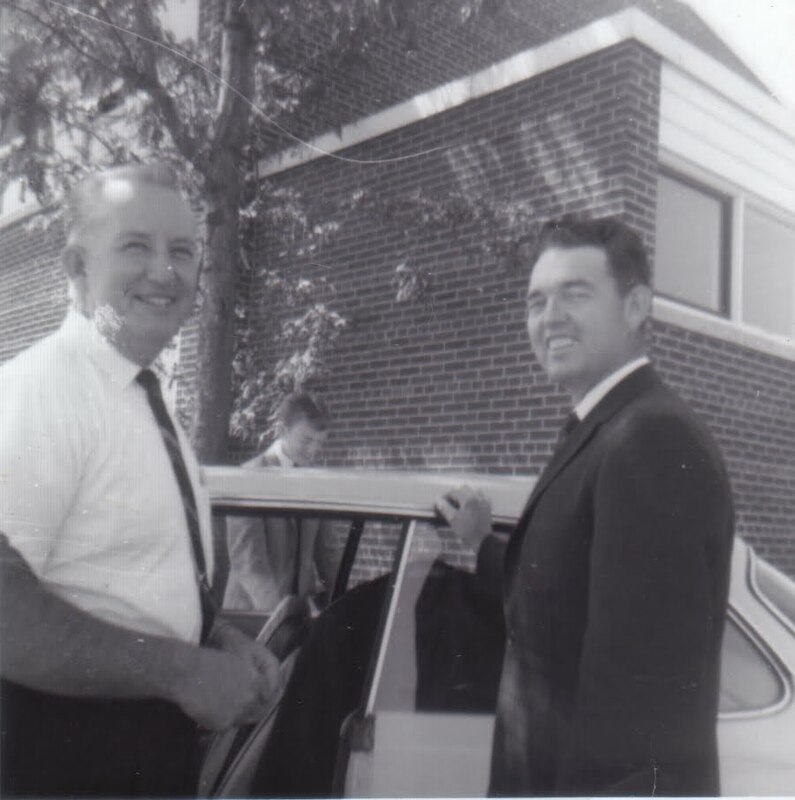 Bob Erekson served actively in the Church for the rest of his life. From 1973 to 1985 he was a counselor in the Billings Montana Mission. He worked in the Billings Temple for eight years and for the past twelve or more years served as the membership clerk for his ward, updating the records one last time a few days before his death. He will be missed by friends and family. Please add your memories of Bob Erekson as comments to this post or email me, his daughter, and I will post them for you. I certainly remember the family--1965 was probably about the year my family moved to Naperville and started attending the Fox Valley Ward.